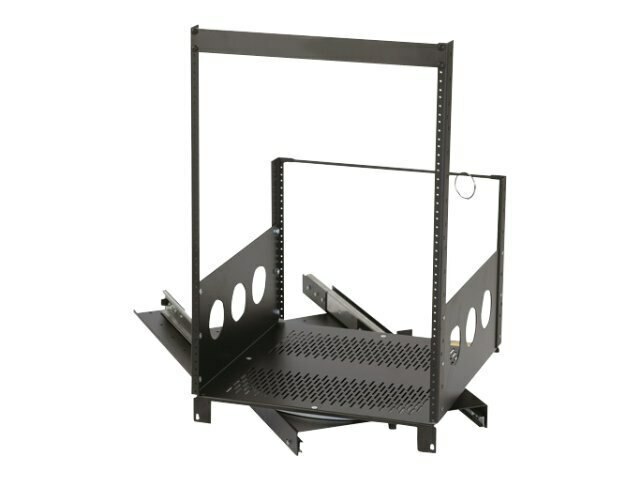 This 12U pull-out and rotating rack provides access to equipment and wiring. The rack can rotate 90-degrees in either direction and can be locked in the rotated position. It also facilitates installation in tight spaces such as closets or underneath desks.